Women whose unborn babies have fatal abnormalities will be able to get abortions from January at the National Maternity Hospital. The hospital’s master, Dr Rhona Mahony, made the pledge as it emerged that some maternity hospitals and GPs will not be ready to begin the extension of abortions services from that date. 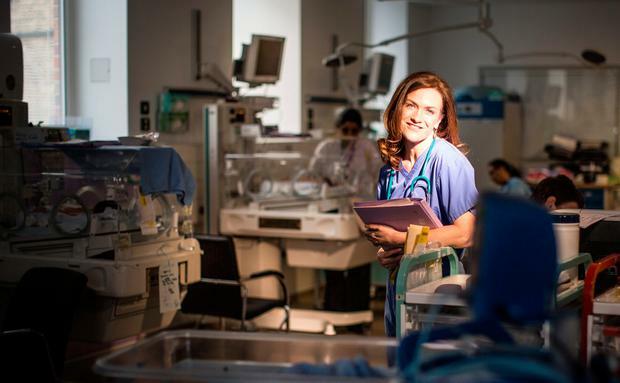 A spokesman for Dr Mahony, who is stepping down from her position as master of Holles Street in January, said staff are “working to ensure we have a full, safe and compassionate service in place as quickly as possible”. As the Seanad continued to debate the Regulation of Termination of Pregnancy Bill yesterday, Health Minister Simon Harris rejected claims that the January target was a political deadline. He said this was “offensive”. But he acknowledged that the services will not immediately be available everywhere. “That service will evolve and need time to embed, but clinicians are getting ready to start such a service in the new year,” he said. The master of the Coombe Hospital, Dr Sharon Sheehan, said her service will not be ready to implement the new system by January. To ensure the provision of “safe, high-quality, sensitive and compassionate care for women”, it is essential to have the finalised legislation in place, an agreed model of care nationally and national clinical guidelines, she said. “There has been extensive work, and that is continuing to proceed at a pace, but they are not ready and we now have only 20 days before this service is to be introduced. A spokeswoman for the Rotunda maternity hospital said that the “Rotunda Hospital will be complying with enacted legislation providing the appropriate model of care, resources and funding is in place to enable a safe service provision to women”. The Irish Family Planning Association – expected to be one of the key providers of medical abortion – said it could not give an exact date for the start of abortion services in its clinics. A spokeswoman said: “We are still working on a number of outstanding issues. “We’re working to resolve them as quickly as possible and we’re making good progress. We won’t delay in providing abortion care once that’s done”. The Irish College of General Practitioners and the Institute of Obstetricians will meet today to discuss draft clinical guidelines. These are seen as essential to guide doctors on best care practices and to prevent any complications. The HSE is ready to start advertising a 24/7 helpline once the legislation is passed, which will tell women which GPs and hospitals are participating. Updated 2017 abortion figures from clinics in the UK yesterday showed 3,019 women from the Republic had an abortion in England and Wales in 2017. This compared to 6,673 in 2001 and marked an 8pc decline in numbers travelling compared to 2016.